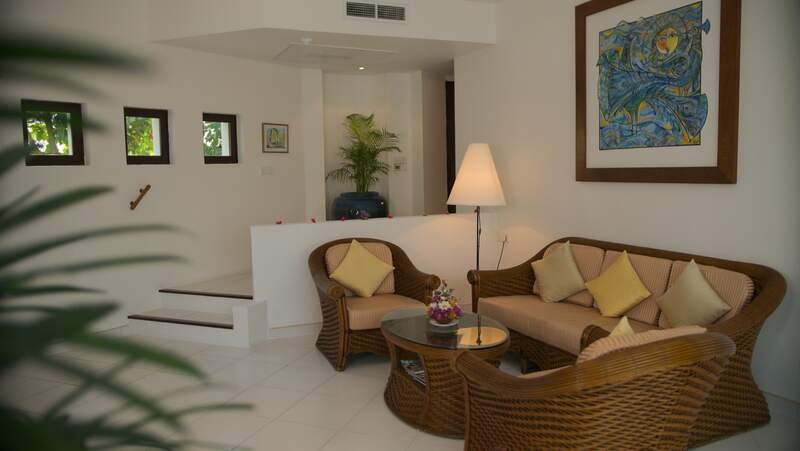 The spacious suites have a living area of approx. 90 m². By dividing into a living room and a separate bedroom with very spacious wardrobe wall, you will enjoy a special level of comfort. In the living area sitting set, desk, flat-screen TV, water cooker for the preparation of coffee and tea, DVD player (Videos are available free of charge at the hotel reception). 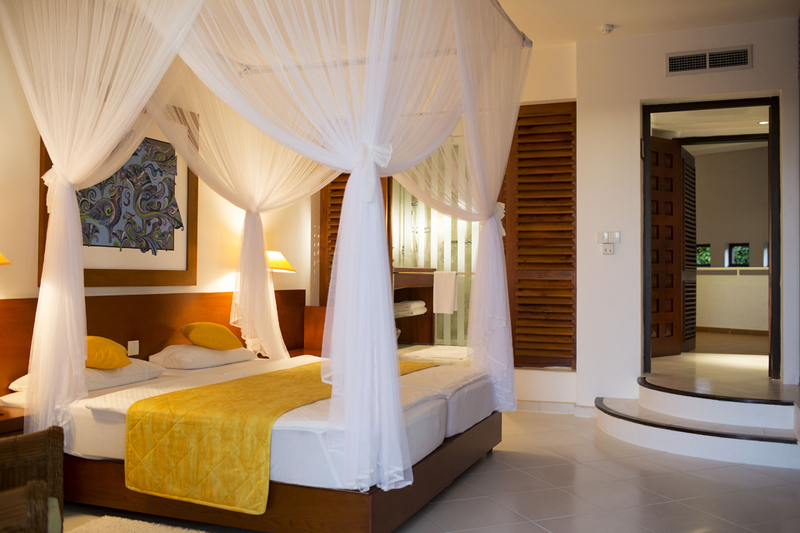 Sleeping area with two single beds and canopy for mosquito net, additional flat-screen TV. 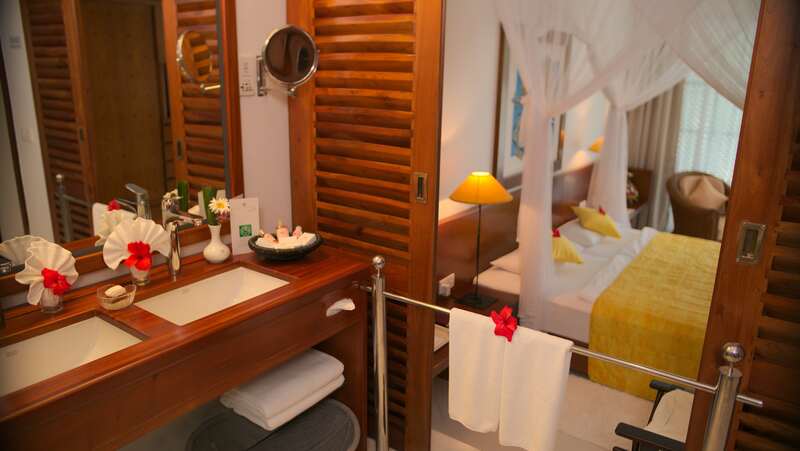 Walk-in shower with rain shower, cosmetic mirror, hairdryer, separate toilet with bidet, bathrobe, slippers. 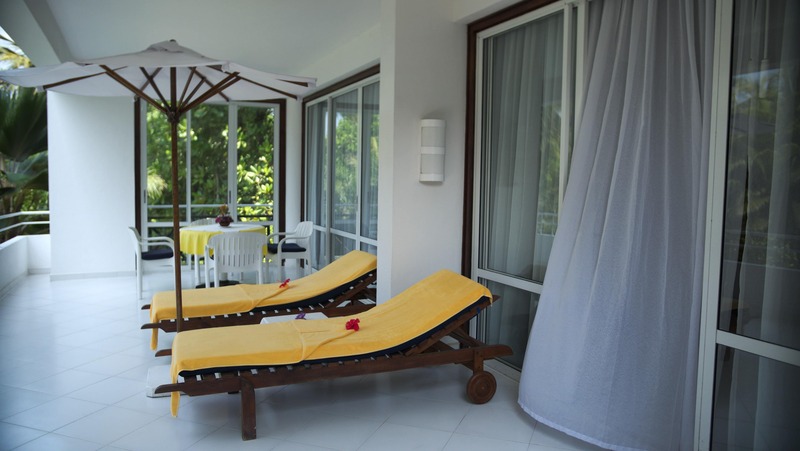 From both rooms of the suite access to the large balcony with a seating group to an early morning coffee or a relaxing sun bathing, sunbathing with cushions and umbrella. 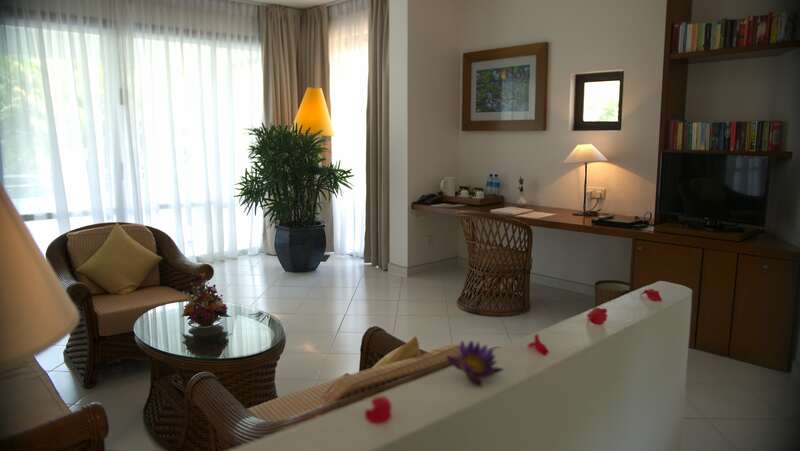 Sea side and overlooking the swimming pool and to the palm garden. Occupancy 2 or 3 adults. The right place to relax and enjoy in a private atmosphere. All SUPERIOR SUITE rooms have tiled floor, the elevated entrance and the area of the bathroom is separate from the living / sleeping area optically over two steps.